CULLMAN – As if Dawn Owens didn’t have enough to do as director of The Link of Cullman County, she decided to add “author” to her resumé. Worthy Publishing has just released her book “Like Me or Not,” which deals with approval addiction, an unhealthy preoccupation with pleasing or gaining the approval of other people. Counselors will say that an emotionally healthy person should want the approval of others, but that approval, or lack of it, should not determine a person’s sense of self-worth. This is the dilemma Owens sought to address in her faith-based approach to healthy self-esteem. Sixteen chapters, including the introduction and conclusion, address various aspects of approval addiction and offer biblical principles for identifying and overcoming issues like people-pleasing, insecurity, comparison and jealousy. Originally conceived as helpful tool for 20- to 40-year-old women, the book has received a positive reception from men as well, and from readers of all ages from young adult up, according to Owens. 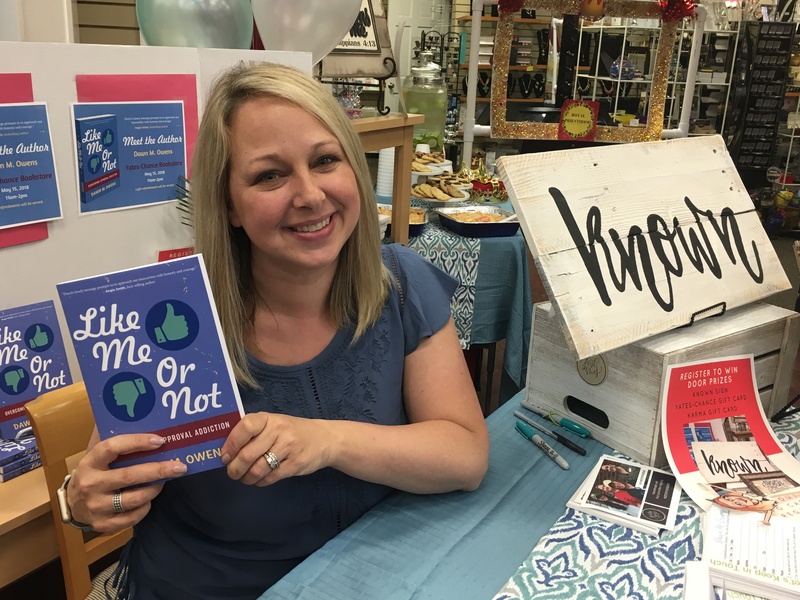 On Tuesday, the official launch day for “Like Me or Not,” Yates-Chance Christian Bookstore hosted a book signing. During a short lull in a steady stream of customers who threatened to buy out the available stock of copies, The Tribune talked with Owens. “Originally, I started to write the book because I recognized that I was probably not the only person that struggled with approval addiction, and, as I talked with others, they kept saying, ‘Oh, yeah, with social media it’s becoming even more of a struggle, but that was about seven years ago. “Like Me or Not” is now available in bookstores, as well as online from distributors like Amazon. For more information, visit https://dawnmowens.com.